Natl Geographic Society, 1995. Hardcover. Acceptable. Disclaimer:A readable copy. All pages are intact, and the cover is intact. Pages can include considerable notes-in pen or highlighter-but the notes cannot obscure the text. Natl Geographic Society. Hardcover. 0870449796 Good Condition. Five star seller - Ships Quickly - Buy with confidence! . Good. Natl Geographic Society. Hardcover. 0870449796 Very Good Condition. Has some wear. Five star seller - Buy with confidence! . Very Good. Washington, D.C.:: National Geographic Society. NEW in Good DJ with one short tear. (2002). First Edition.. 0870449796 . ISBN: 0870449796 . National Geographic Society, Washington DC Book. As New. Hardcover. 1994. As New HB in Like DJ 7.2 x 10.4 200pp Usual spectacular Photos..
Natl Geographic Society. Used - Very Good. Hardcover w / dustjacket. Very good condition; edges, corners, and covers of book show minor wear. No underlining; no highlighting; no internal markings except for previous owner's bookplate on ffep. DJ is Very Good; light edgewear. Stored in sealed plastic protection. In the event of a problem we guarantee full refund. 1995. Hardcover w / dustjacket. Washington, D. C.: National Geographic Society, 1994. Hard Cover. Fine/No Jacket. 4to - over 9¾" - 12" tall. 200 pp. Washington, D.C.: National Geographic Society, 1994 Very clean and tight copy. Bookplate on fep. . Hard Cover. Very Good/Very Good. 8vo - over 7¾" - 9¾" tall. Ex Libris. Natl Geographic Society, 1995-09. Hardcover. Good. Natl Geographic Society, 1995/09/01 00:00:00.000. Hardcover . Good. 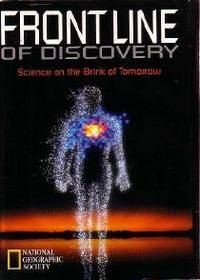 Clarke,Arthur C. Frontline Of Discovery: Science On The Brink Of Tomorrow 'The dust jacket has edge wear from the shelf,the book itself is like new.' All Orders Shipped With Tracking And Delivery Confirmation Numbers. Washington, D. C.: National Geographic Society, 1994 Book is in excellent condition, like new.. Hard Cover. Very Good/Very Good. 4to - over 9¾" - 12" Tall. Washington D.C., 1994. Hardcover. Very Good/Very Good. Used Book: Hard Cover Standard used condition. Reading copy or better. Washington, D.C., U.S.A.: Natl Geographic Society. As New in Fine dust jacket. 1994. Hard Cover. 0870449796 . 200 pages including index.. the book is clean and without any marks. photography demystifies organs such as the brain through modern science. ; 4to - over 9¾" - 12" tall . Natl Geographic Society, 1995-09-01. Hardcover. Used:Good. National Geographic Society, 1994. Hardcover. Award Winning science writers and photographers collaborate in this voyage of discovery across modern science's most tantalizing frontiers. Essays by veteran men of letters Walter Sullivan and Arthur C. Clarke frame the book's major chapters. Neurologist Richard Restak explores the brain's age-old mysteries. 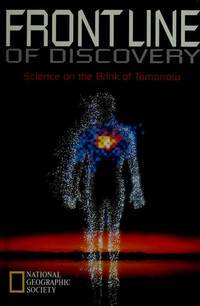 Stephen S. Hall ponders the new biology's challenges. Robert Friedel tours a fantastic realm of superconductors, high-tech ceramics and others. 200 pgs. DJ and Book As New. Natl Geographic Society. Used - Very Good. Very Good condition. Good dust jacket.